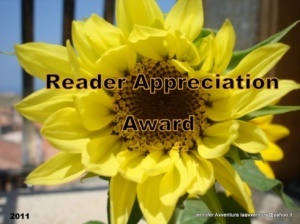 I’ve been nominated for two awards: the Reader Appreciation Award and the Beautiful Blogger award. Awesome, right? It’s not the Nobel Prize or anything, but I’m super excited about it (thank you, Candace Knoebel). 4) I save all the fortunes out of my fortune cookies. Don’t ask me why..
6) Ireland and Costa Rica top the list of Places I Want to Visit. 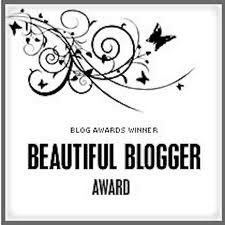 I also get to nominate seven other deserving bloggers, so here they are: Ruth Ellen Parlor; JM Randolph, accidentalstepmom; bottledworder; Albert Berg; Lori Dyan, Stuart A. Etter; and Fiction Fanatic. Is Fan Fiction the Devil (or am I overreacting)? I was also a pescatarian for about 2 years while I was in college. I loved every minute of it, and I’ve considered going back to it once we’re back in Louisiana (where we can actually find GOOD seafood 😉 ). Thank you! I REALLY miss the seafood in New Orleans. So good! I will always have a special attachment to that city, and maybe I’ll end up back there one day (apart from visiting every chance I get, I mean). I lived on the Northshore for just over two years, and loved it. Awesome! My hubby’s family lives on the East Bank. Yey! Thank you for the nomination 🙂 I’d love to visit Ireland to, I have a friend who’s half Irish and I keep saying, we need to go on holiday to Dublin! You’re welcome! My best friend and I have been “planning” a trip to Ireland since high school–so for a good long time now, 🙂 I cannot wait until we actually make it happen! You’re welcome! I enjoy reading your blog quite a bit. You always make me laugh.